The Washington DC Military Monument Coin Set includes five die-struck, 1 in diameter, bronze coins. Memorial coins included are the WW II Memorial, Korean War Memorial, Tomb of the Unknowns, Iwo Jima Memorial and the Vietnam Memorial. It is presented in a two-piece, gold stamped gift box. These Congressional authorized landmarks honor the courage, sacrifice and devotion to duty of war veterans. Our nation's veterans deserve no less. 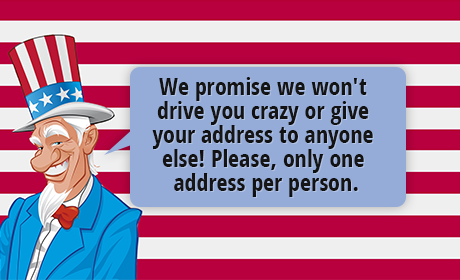 Included is an interpretive text booklet and a certificate of authenticity. Presentation box measures 8" x 7 1/8" x 2" . Packaged in a master carton with a protective cardboard sleeve on each box. 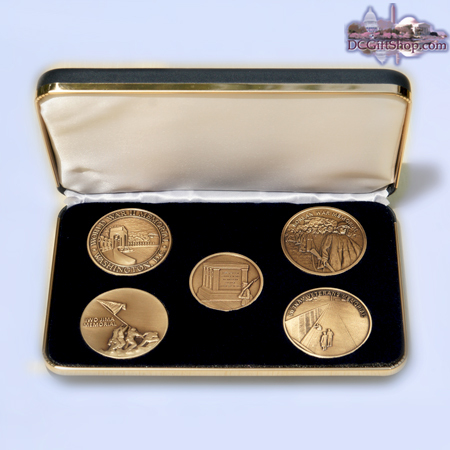 The Washington DC Military Monument Coin Set makes a perfect executive gift. You will be completely satisfied.